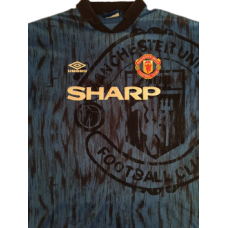 This Manchester United retro shirt away 1992-1993 with Sharp sponsore was used of players like: Gary Paleester, Andrey Kanchelskis, Ryan Giggs and others. The season was marked by the club winning the inaugural Premier League title, ending their 26-year run without an English league title. They ended up winning the title by a 10-point margin over runners-up Aston Villa, but had fought a three-horse race for much of the season with both Villa and Norwich City, not topping the table until January. The arrival of Eric Cantona from Leeds United for £1.2 million in late November helped boost United's title challenge, after they had been as low as 10th in the league shortly before. 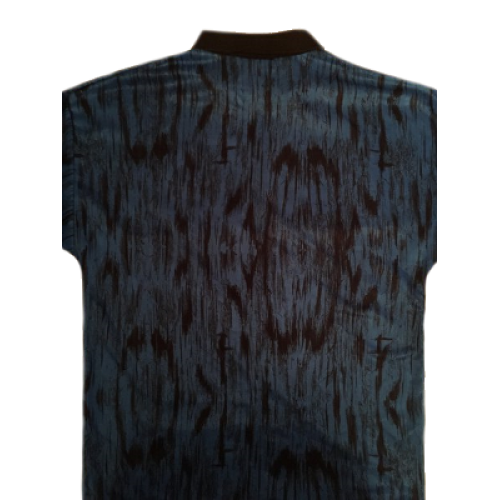 Cantona's arrival came just weeks after new striker Dion Dublin had been ruled out for six months with a broken leg, and Cantona was the catalyst in United's triumph. 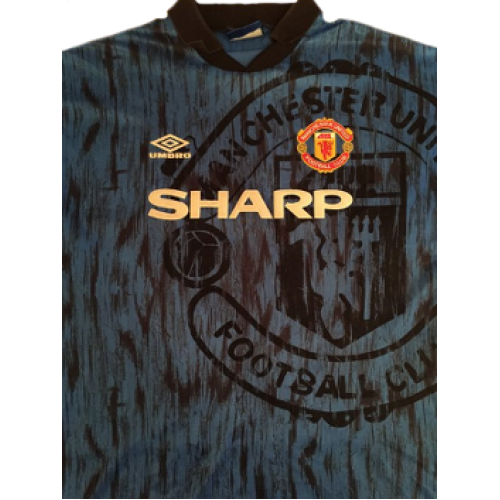 This Manchester United retro shirt 1976-1977 was used of players like: Gordon Hill, Lou Macari, Stev.. 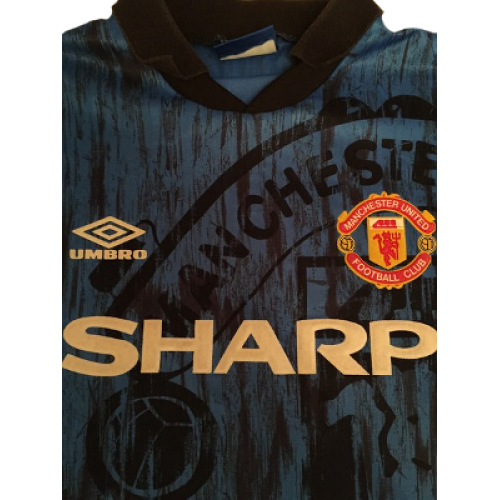 This Manchester United retro shirt home 1994-1995 with Sharp sponsor was used of players like: Irwin..